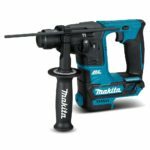 Last week Makita announced a new cordless track saw. Awesome news for sure but wait, there’s more! It turns out there were more tools announced such as a new cordless 10 inch miter saw and a new cordless 18V brushless rebar cutter. 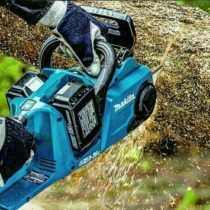 Makita is no stranger to miter saws and definitely not a stranger in the cordless miter saw segment as they’ve had cordless miter saws for many many years, even dating farther back than the most recent cordless models from Dewalt, Ridgid, Milwaukee, and Ryobi. 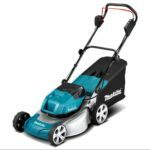 Makita themselves recently released a newer model in which it ran off two 18V batteries to pump out 36 volts and had a brushless motor. Great saw nonetheless but it was still running a smallish 7-1/4 inch blade that was smaller than Milwaukee’s cordless 10 inch sliding miter saw and Dewalt’s cordless Flexvolt 12 inch sliding miter saw. So what does Makita do? They come out with a 10 inch sliding cordless miter saw. It’s also brushless and runs off two Makita 18V batteries to pump out 36 volts just like the previous model. 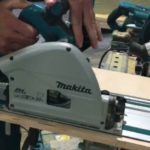 Along the news of the new 10 inch corldess miter saw, Makita also announced a similar corded model as well, the LS1019L Model. Both new 10″ miter saws are said to offer the largest crown cutting capacities in their class, matching up against some 12″ miter saws (both 6-5/8″ crown nested). Both have a new rail system that gives you a smaller footprint, with no compromise in capacity. The other tool mentioned is a new Makita 18v LXT Brushless Rebar Cutter. This is a different design from the previous Makita 18V cordless rebar cutter and instead is based on a similar design of an angle grinder, although heavily modified for cutting rebar and threaded rod. They also announced other new tools such as a new 18V LXT Sub-Compact Brushless 11/16″ Rotary Hammer, and more 12V CXT tools including 2 new 12V jigsaws and 12V cordless cutter. More details will come out soon. I found a short video showing the CXT 12v jigsaws posted by Coptool.